Job Title: Buildings Supervisor; M&E Supervisor Excellent opportunity to work within a varied, interesting environment for a highly renowned organisation. 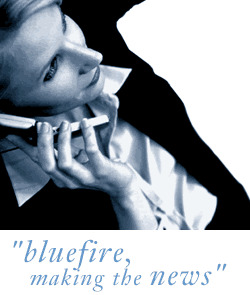 Location: Slough Salary: £30k plus 15% non-contributory pension and generous benefits package The Role Bluefire Consulting are recruiting for a Buildings Supervisor; M&E Supervisor to manage the day to day property maintenance operations and individual event support across a large, multi-use site based in Windsor. As a successful Buildings Supervisor; M&E Supervisor applicant you must be able to demonstrate a solid technical understanding of most M&E based systems within a property maintenance or a building services style environment. A City & Guilds or NVQ qualification in a mechanical or electrical discipline is also essential and you need experience of working on multi-site estates. A background within historic, heritage or listed buildings would be highly advantageous. A Buildings Supervisor; M&E Supervisor will need good management and communication skills in order to oversee the in-house and external team whilst the stakeholder management will require a strong customer-driven approach. You need to be IT literate, ideally with experience working with a BMS. Owing to the nature of the role any Buildings Supervisor; M&E Supervisor candidate needs a consistent 7 year working history within the UK as the role will require security clearance.